According to returns provided by his campaign, Sanders and wife Jane's bottom line jumped from $ 240,622 in 2015, the year he launched his first White House bid, to $ 1,073,333 a year later, as the once obscure lawmaker became a political sensation on the left and a bestselling author with royalties pouring in. Since that first run, Sanders and his wife made a total of more than $ 2.79 million, putting them in the category of the super-rich. Sanders reported a total of 2018 family income of $ 566,421 – $ 382,920 of which came from writing and royalties. The documents showed he paid $ 137,573 in federal taxes in 2018 and owed $ 8,267 in taxes for the year. Sanders reported paying a 26% effective tax rate on his adjusted gross income. The couple reportedly donating $ 18,950 to charity. Sanders last year made $ 110 in music royalties, presumably for his 1987 folk album, "We Shall Overcome," and an additional $ 1,810 from his 1997 memoir, "Outsider in the House," which was published by Verso. He was paid and additional $ 391,000 for his books. 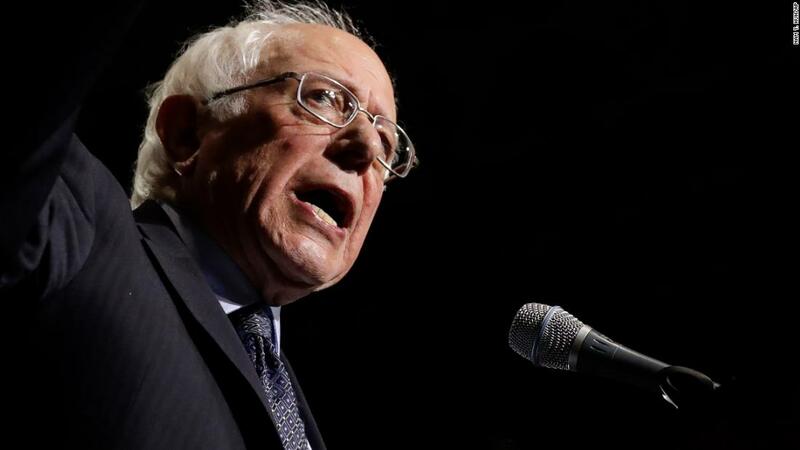 Sanders had come under increasing pressure to make the tax disclosures as his primary rivals rolled out their own returns and critics – along with some allies – began to agitate for a more complete , public look inside the candidate's pocketbook. The issue had become even more politically heated with Democrats continuing to demand President Donald Trump's tax returns. "If the ultimate question is, will he credibly push special interests and the billionaire class and the wealthy in this country to do the things that need to be done, like Medicare for All, like a climate jobs plan, the answer is yes, "Shakir said. "He could earn another million dollars and it would still not matter." In 2016, during his first presidential campaign, Sanders released only one year of records – from 2014. Sanders recently revealed that his income from book sales in the aftermath of that race had made him a millionaire. Still, he remains one of the least wealthy members of the US Senate.
" I think there was some interpretation left to 'soon,' which I, in retrospect, would ' "We wanted to do 10 years and so we had (an internal) conversation saying, 'let's just do it all at once so we have the most recent one. '"